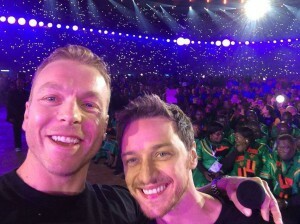 The Chris Hoy-James McAvoy selfie: my highlight of the Glasgow 2014 Opening Night. It’s been an absolutely glorious week here in Glasgow. It’s warm, the Commonwealth Games has the city abuzz, and I’ve been booking trips left and right. 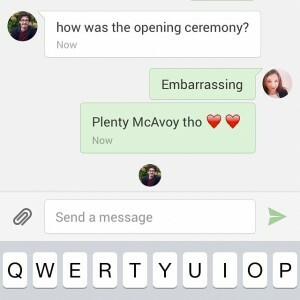 And Chris Hoy and James McAvoy are taking selfies together. I’m looking forward to getting my dudebro on in California next month, then visiting my brother on the other coast in September. Still not sure what the heck I actually do for a living? (Me neither.) On my professional site, I blogged about My Story So Far. I also posted a wee book haul. Speaking of Evan (that’s my husband), and culture, he wrote a great, rightfully indignant piece about his experience getting a visa in the UK: The Test of Your Life. The New Yorker has opened its archives for the summer! Here’s the info, and here are All the New Yorker Story Roundups You Should Read While the Stories Are Still Unlocked, As Well As All the New Yorker Stories They Link To. Thanks, The Awl! I’d spent most of my life writing fiction, and it took me a while to accept that even in nonfiction I was still constructing characters — myself included. This week’s newsletter recommendation is The Ann Friedman Weekly. Have I recommended this before? Probably. Don’t make me tell you thrice. In podcast corner, CGP Grey recommends a few podcast apps. I’m trying out Overcast and it’s pretty nice. In video, my friend Jean is hosting a Classical Literature Readalong [VIDEO] throughout August. We’re reading The Odyssey by Homer in the first 2 weeks, then Ovid’s Metamorphoses in the next. Join us using #classicalreadalong. This week I’ve been reading 2 books: a fantastic and thoughtful essay collection called Men Explain Things to Me by Rebecca Solnit, and a funny crime caper novel called Death and the Penguinby Andrey Kurkov. I’m also trying out a Braid E-Course this week. Check out their lovely blog.